Well, Linux kernel 4.7 final is soon to be released and now here is some announcement about Linux Kernel 4.7 by Linus Torvalds. 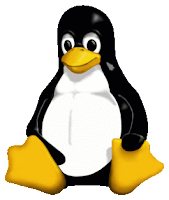 The Release Candidate Linux kernel 4.7 rc7 is here.According to the announcement this Release candidate is the last rc in Linux kernel 4.7 release candidate segment. There is going to get a one week delay in final release.Linus Torvalds announced it on this Sunday. up, instead think of it as you guys getting a BONUS WEEK! Yay!" So here One more week is in hands to encounter bugs and to report them.This extra week is going to help in bug fixes(if any found) and people have to wait one more week for the final release.